Completing your continuing education your renewal deadline has never been easier. We have compiled the best courses for New Hampshire Real Estate agents to help you not only renew your license but to learn the latest in real estate market trends so you can be successful. *Please Note: The 12 elective hours are determined by the number of hours approved by the New Hampshire Real Estate Commission for Continuing Education (CE) credit. The course content is intended to be 16 total hours in length (hence the discrepancy). It may take longer than 12 hours to complete this package. This package includes all 15 hours of the 15 total hours required for Sales and Broker active license renewals. * This package features an emphasis on commercial real estate. Complete 12-hours of elective continuing education requirement for New Hampshire with this package. When you first earned your real estate license, you undoubtedly spent many hours learning the laws and rules that must be abided by when practicing in New Hampshire. Do you remember everything that you learned? Probably not—you are human, after all, and it's understandable that you would forgot a few things along the way. For this reason, and because the laws and rules that apply to the practice of real estate are constantly changing, New Hampshire requires that licensees complete a three-hour Core course every two years. The CE Shop's New Hampshire Core Course fulfills this requirement. New Hampshire Core Course provides a refresher on the must-know rules applying to real estate professionals. 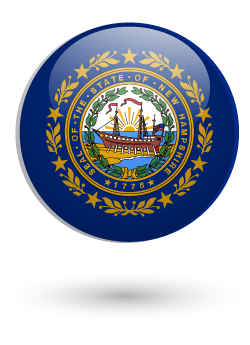 It also highlights recent changes to the state's license law and key rulings by the New Hampshire Real Estate Commission. Considerable attention is given to the various agency relationships that exist and the requirements that must be met when acting in these relationships. Disclosures are discussed in considerable detail, as are the state and federal laws relating to fair housing, consumer protection, and advertising. A detailed look at agency relationships. A review of the disclosures that need to be made by licensees, sellers, and landlords during real estate transactions. Summaries of recent rulings by the New Hampshire Real Estate Commission. An explanation of the procedures that must be followed when handling client funds. Key provisions in federal and state fair housing laws, with numerous examples to make it clear what's allowed and what's prohibited. Advice on the steps you should take to stay safe while conducting showings. Protect yourself. Understand your responsibility for disclosure when environmental hazards are involved. This course provides an overview of the regulations, standards and legal rules in real estate for property disclosure. Specifically covered in detail are lead, mold, methamphetamine labs, asbestos, radon, and other environmental hazards. This course fulfills Disclosure Credit Requirements.